Pretty pink and gray growth cards for baby girl. 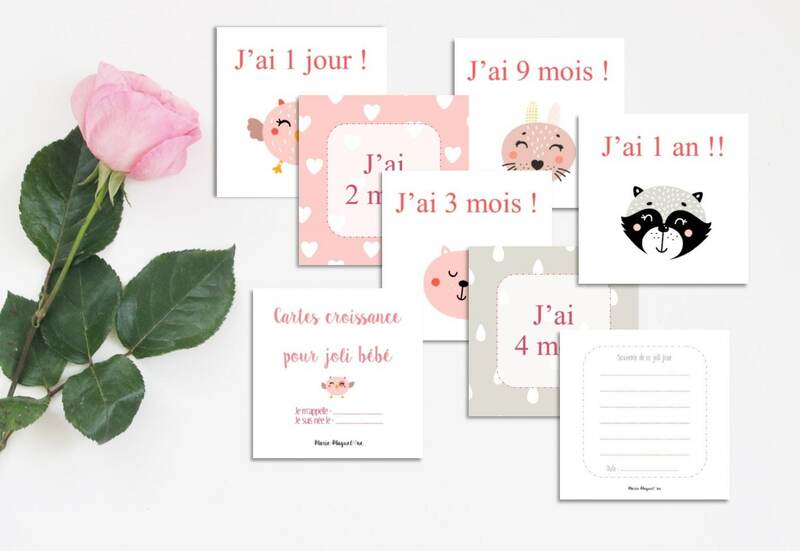 With these beautiful cards, you can mark the growth of your little girl! Every moment is a party and you have to seize this moment! Find a card per month to note on the back the progress of baby, the highlights. You will be able to take a baby picture with the card to immortalize these unique moments of your child's growth. Make (you) pleasure and offer moments of happiness! The first year of a baby is probably the most important for him and for these parents!